Surf’s up! To celebrate the first winter swell of 2014, Downtown Manhattan Beach is holding a photo contest to showcase the best big wave photo. To enter, take a winter swell photo and share it on the Downtown Manhattan Beach’s Facebook page or on Instagram with the hash tag #mbswell. To qualify, photos must be of the surf from somewhere between the El Porto jetty and the Redondo Beach break wall. Entries are open until January 29 (enter as many times as you like). Once you enter, go to the Facebook page or to www.DowntownManhattanBeach.com to vote for your picture or any picture you like the best. The photo receiving the most votes will win a Nikau Kai prize basket with a $50 gift certificate, a Nikau Kai hat, and a Nikai Kai t-shirt. Winners will be announced at the Downtown Manhattan Beach site on February 8 at noon. Good luck and surf safe! Have you seen this car? 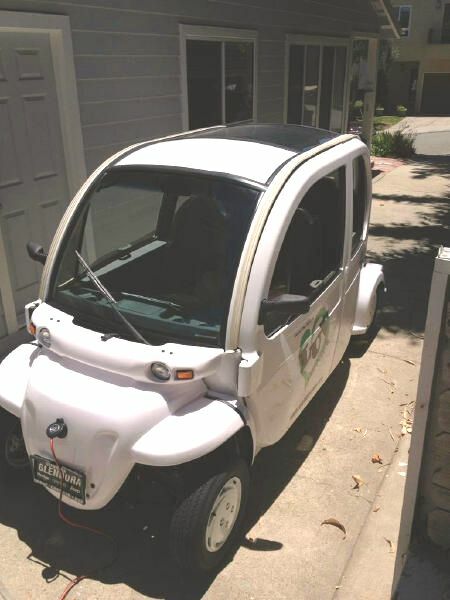 This cute little electric vehicle is part of a local use vehicle demonstration project by the South Bay Cities Council of Governments. 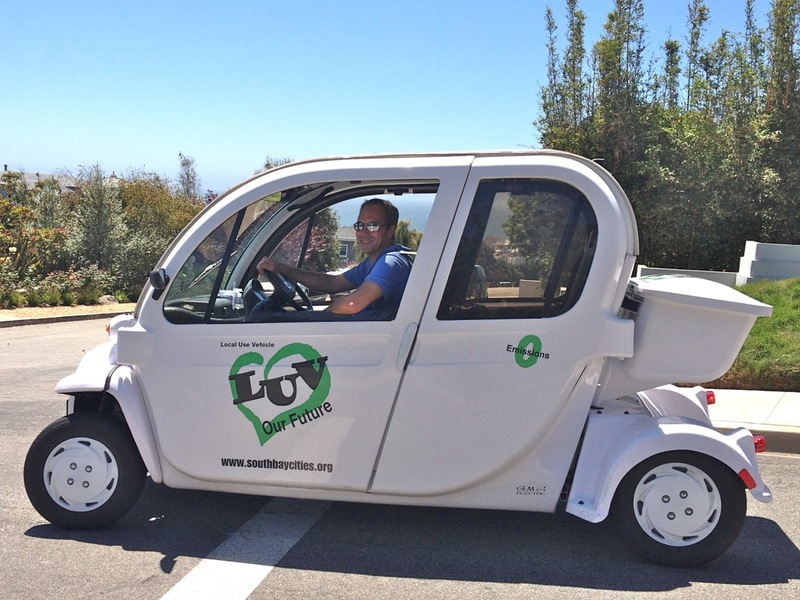 Through the LUV project, the local government group is lending this GEM E4 to local families for two months at a time to experience all of the conveniences of a local-use electric vehicle. Manhattan Beach Confidential and I were fortunate enough to make it to the top of the waitlist and we welcomed the car into our family and our daily routine last week. The GEM E4 is exactly how they describe it – it’s a local use vehicle. It plugs into a regular wall outlet and it has a range of 20 miles before it will run out of power. At a max speed of 25 miles per hour, it can’t travel any major roads, but it can get you just about anywhere you need to go around town. Also, it doesn’t come with any bells and whistles – there’s no power steering, no power windows, no radio, and not even a clock. Even though it looks small, it’s surprisingly roomy. Four people can fit quite comfortably (it’s actually pretty tall so there’s a lot of head room). The doors also detach in case you want to put something large (like a surfboard) inside; plus there’s a locked trunk compartment. And even though it’s not the fastest car on the road, it is easy to manuever through the crowded streets and parking spaces down by the beach. Other bonuses: Free parking at EV charging stations at LAX, free parking at meters in Hermosa Beach, and free parking at meters in Santa Monica. We’re sure going to miss it when our two months are up. In fact, we’re already looking into the tax incentives and other benefits if we decide to buy one for ourselves. Will you be the next driver of this cute little car? Apply here to participate in the program, or visit South Bay Cities LUV on Facebook to learn more. Most Californians know that our state’s budget and our system of financing K-12 schools is a mess. Some Californians know that there will potentially be two different tax initiatives aimed at solving that mess on the November ballot. And very, very few Californians know any more than that. How could they? Our state’s fiscal problems are so enormous, so complicated, and so intractable that after a while it all becomes just pops and buzzes for most people. What is the budget problem? It’s definitely not pretty. 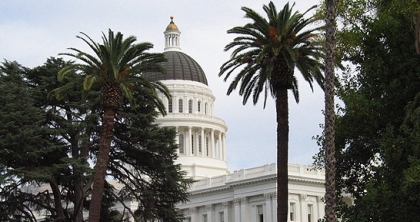 Out of a $90 billion budget, California faces a $9.2 billion deficit. In January the governor released a 2012/13 budget proposal filled with cuts aimed at addressing the budget gap. Here’s the hitch: The budget relies on the passage of a tax initiative (proposed for the November ballot) to close the gap. If that initiative fails to gain a spot on the ballot, or fails to win passage, a “trigger” mechanism will kick in and necessitate further cuts throughout the state. The “trigger” would cut $4.8 billion from K-12 school funding, a reduction that could translate into a school year shortened by three weeks. California’s schools, meanwhile, rank 47th nationally in per-pupil spending, and rank dead last in terms of class sizes. Over the last three years, according to the California PTA, more than $20 billion has been cut from California schools, and more than 40,000 educators have been laid off. Parents, students, teachers, administrators, and community members are fuming about California’s crumbling educational system, and many have vowed to take action. How can the budget be fixed? As one legislator put it, “The budget is extremely complex. But you can boil it all down to two things; revenue and spending. If you need to balance the budget, you either need to increase revenue or cut spending.” Most in the education community would agree that there have already been enough cuts, which is why they are looking for ways to increase revenue (at least temporarily). What are the proposals to raise revenue? Governor’s Initiative: The governor’s proposal would raise taxes on Californians earning above $300,000 and would raise sales taxes 1/4 cent. It is estimated to raise $6 to $7 billion per year, and it would last for seven years. 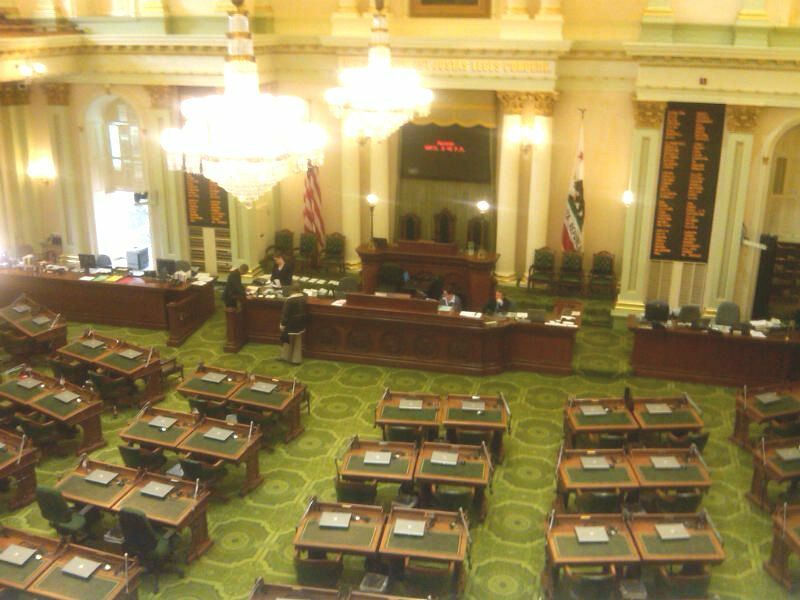 A portion of the money raised would go to schools, but the majority would go toward fixing California’s structural budget problem. Note: This initiative is slightly modified from the governor’s initial version because in recent weeks he has worked with union groups and those advocating a “millionaire’s tax” to create a new compromise version. “Our Children, Our Future”/Munger Initiative: This proposal, drafted by civil rights attorney Molly Munger and supported by the California PTA, would increase taxes across the board (on a sliding scale, with the wealthier taxpayers paying a larger percentage) to raise between $10 and $11 billion per year for 12 years. During the first four years, 60% of revenues go to K-12 schools, 30% to repaying state debt, and 10% to early childhood programs. Thereafter, 85% of revenues would go to K-12 schools and 15% to early childhood programs. The funds would be allocated to local school sites on a per-pupil basis and could not be used at district headquarters. To find out how much your school would receive, see this benefits calculator. What are the prospects for these two initiatives? Both initiatives face the immediate hurdle of securing enough signatures to get on the ballot. They are up against an April 20 filing deadline. Even if they both make it on the ballot, tax initiatives historically have a very difficult time winning passage. The fact that there are two competing initiatives might make it hard for both (or either) to win. Advocates for the governor’s initiative argue that his is the most immediate way to solve the crushing budget crisis, and any competing initiatives distract from the cause. Advocates for the Munger initiative argue that schools have suffered the most, and schoolchildren deserve this immediate and direct aid to preserve their quality of education. What else is on the horizon for education? 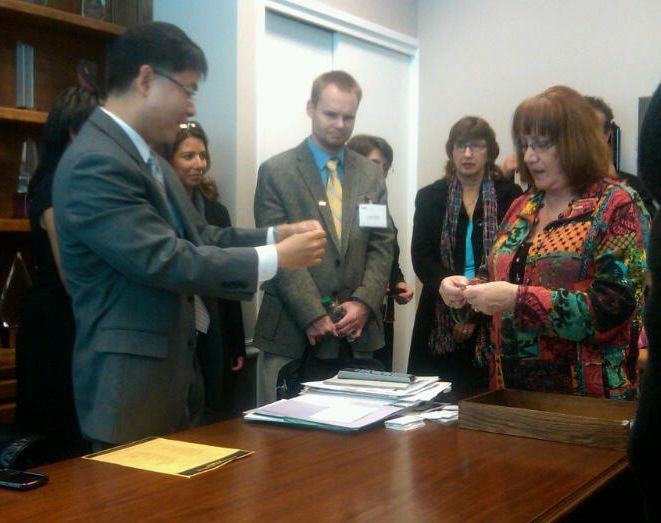 There are several efforts underfoot to reform school funding in California. Notably, AB 18 (Brownley) would attempt to overhaul the school finance system beginning in 2015/16. Other pressing issues include transitional kindergarten (the governor has proposed to eliminate funding for it in his new budget); funding for physical education, arts, and STEM (science, technology, engineering, and math) courses; and funding children’s health and early childhood development. 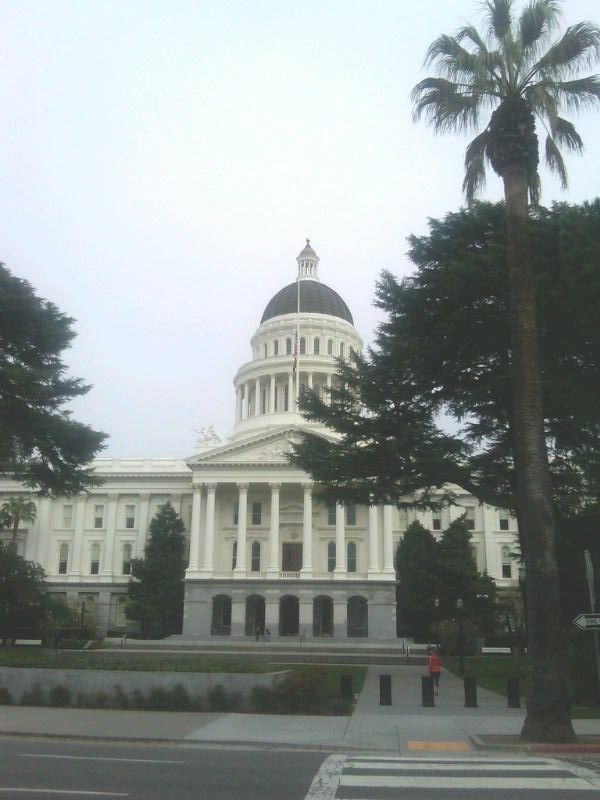 However, most political types agree that California’s budget is the “elephant in the room” and that all of these other issues will likely remain secondary until the structural problems are solved. Educate yourself. 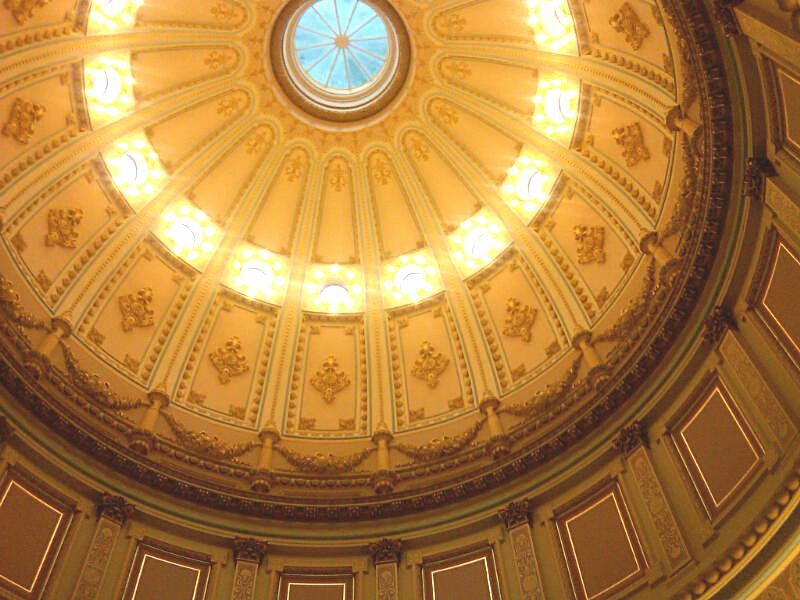 The California Legislative Analyst’s Office is a great place to start – it’s filled with reports and nonpartisan information about school funding and the California budget. Got questions? Email me at southbaysparkle (at) gmail (dot) com or tweet me at @SouthBaySparkle. Updated 4/5/12: The PV City Council has voted to rescind the plan for the dog beach pilot program. See the PV Patch story here. Most dogs love the beach – almost as much and sometimes even more than people – except there are very few places in L.A. County where they can enjoy it. But Rancho Palos Verdes is getting close to having the one place in the South Bay where dogs can (legally) enjoy their time in the sun. 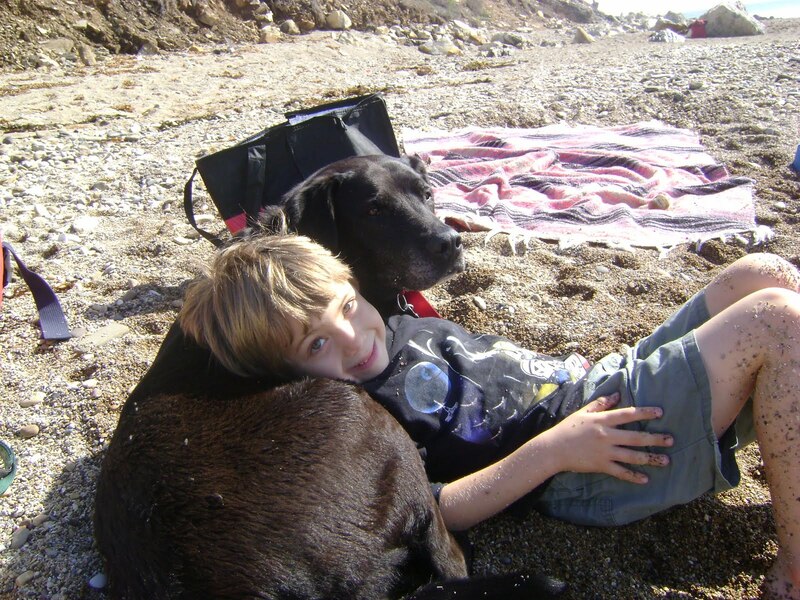 Earlier this week, the city of Rancho Palos Verdes moved a step closer to making this an official dog beach. The City Council voted to direct its staff to work toward a 12-month pilot program and permit system that would make it legal for dogs to enjoy the beach. Possible outcomes could include special times for dogs, or a fence that separates dogs and people. The city will also begin enforcing leash laws in parking lots and on the trails leading down to the beach. 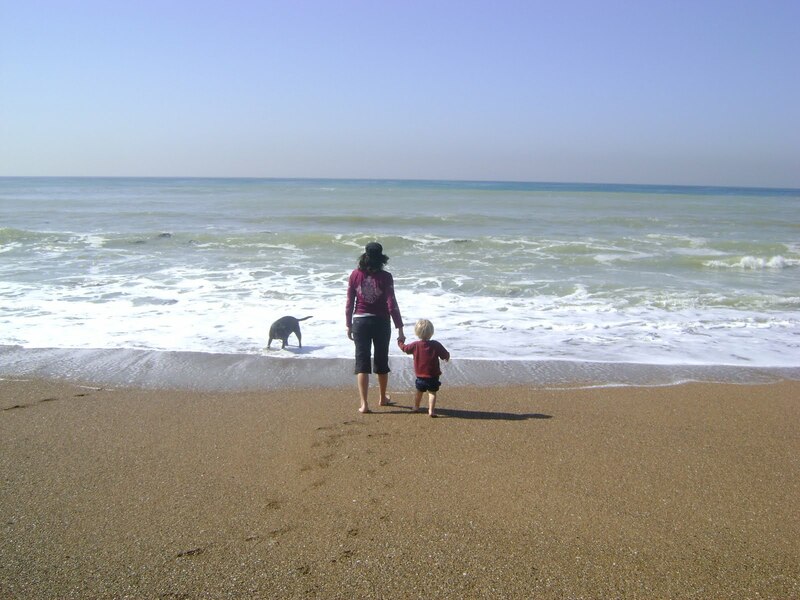 Personal note: The South Bay Sparkle family doesn’t own dogs, yet we have always loved the beach there, and our kids get a big kick out of watching the dogs have their day in the sun. So, for the record, these non-dog-owners are happy to see the city working on plans for an “official” dog beach. To view the full city council agenda item, click here [.pdf]. How can you not love these guys? The firefighters at Redondo Beach Fire Station 1 need a new kitchen, so they’ve entered an Ikea kitchen remodel contest and they need your vote to win it. Even better, they’re willing to sing (and dance) for their supper. And so we present…”We Cook Our Food In A Hopeless Place,” courtesy of the Redondo Beach singers, er, firefighters. Watch the video, and then click to give them your vote. Voting continues through February 28; you can vote once per day.